One-seed juniper is a small, multi-trunked tree that grows on steep slopes, eroded hillsides and breaks of escarpments and plateaus in the high plains of the Texas panhandle. It is much more common in New Mexico than in Texas. 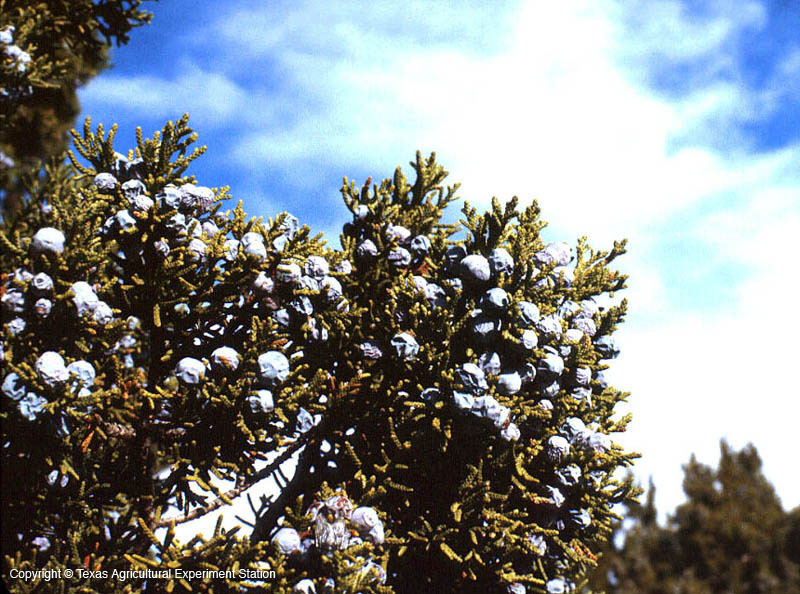 The female trees are sometimes loaded with bloom-covered, purplish-blue to black cones that are quickly eaten by many species of birds and wildlife. It resembles Ashe juniper, J. ashei, but the cones of one-seed juniper are smaller.